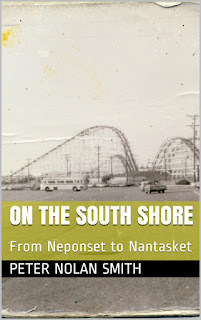 I was lucky enough to live through the 1960s as a teenager on the South Shore of Boston. Home was still home to us. 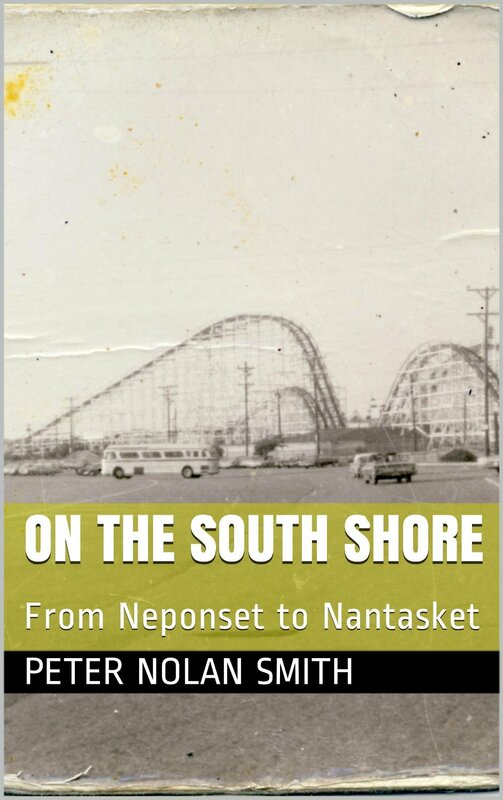 ON THE SOUTH SHORE recounts those lives. The time was short, but retelling these tales brings back those years, if only for a moment. And the moments were many on the South Shore. That next fall my parents were happy and my mother gained weight like she was storing fat for a harsh winter. As her belly grew beyond belief I wondered if she was ever going to stop eating, since Frank and I usually received any leftover cake. The leaves changed color in October and in November JFK beat Richard Nixon to become the first Catholic president. The cold weather arrived in December and Pearl Harbor Day 1960 dawned with a hoary frost topping the fields south of the Neponset River. During lunch my 3rd Grade class stared out the windows at sullen northern clouds. We ate our sandwiches in silence. The nuns believed that Jesus barely spoke during his Agony on the Cross and their students were expected to follow his example in thought and deed. A shrill bell signaled recess and the classes boiled from the school into the sub-freezing temperature. Standing still on the icy asphalt meant frozen feet, so the girls skipped tattered ropes, while the boys kicked misshapen balls around the rear parking lot. Having endured endless ribbing about the metal bars across the windows of the station wagon from family and friends, neither my brother nor I laughed with our classmates. Funny was for other people, but my father got out of the car with a broad smile. In her mind a man’s place at this hour was at his job, because at this hour we belonged to her. “I want to speak to my boys.” He waved for us to come closer. “Impossible” Mother Superior expected obedience from adults as well as children. “We have a baby brother?” Frunk was confused and so was I. “I thought Mom was getting fat.” Any woman would have gained weight from her recent feeding frenzy. “You can’t disrupt the school day like this.” Steam fumed from Mother Superior’s dragon beak. “No one does homework on Baby Day.” My father waved to my sisters and they ran over to us. “Is Mom okay?” I asked with concern. We piled in the car and he drove to Beth Israel Hospital, humming IT’S BEGINNING TO LOOK ALOT LIKE CHRISTMAS. “This is not a playground,” my father said entering the hospital. The lobby smelled cleaner than our house. “Yes, sir.” Our submission to our elders was complete. We filed one by one into the private room in Richardson House. My mother lay on a bed with a small baby on her chest. My Nana held our now second youngest brother, Padraic. A white uniformed nurse sat on a chair reading the Record-American. We stood around the bed. Our new brother was very pink. “He weighs seven pounds.” My father touched the small body and his little fingers squirmed like spring worms rising from the earth. We were a bigger family by one and each of us smiled with a shared happiness. My parents named their sixth child after my grandmother’s uncle. The young priest had met the fourteen year-old girl off the boat from Ireland and placed Nana in a Salem household staff. My grandmother had danced with our grandfather at a church outing in Marblehead. In my mother’s mind our next two generations owed their existence to Uncle Mike and she prayed that at least one of us might take up the Cloth to return the favor. I didn’t have the heart to confess my atheism. Those first months Michael was a miracle and I rushed home from school to feed, bathe, and rock the tiny creature in a cradle from my grandmother’s house in Maine. After having six kids in eight years my mother was grateful for my assistance, however this peaceful period ended with his first bout of infantile teething. My mother and I sang him GOLDMINE IN THE SKY a thousand times. His bawling destroyed our attempts at harmony. One day Michael fell asleep and we sat on the bed in relief. The support struts creaked under our weight and his unearthly howl filled the bedroom. He seemed shocked for a second, then smiled before drifting into a blessed slumber. That was as bad as it got. A time machine to the past. This entry was written by Peter, posted on December 8, 2016 at 1:23 pm, filed under kindle, semi-fiction and tagged demo derby, GTOs, nantasket, Neponset River, paragon park, peter nolan smith, quincy quarries, shore shore, xaverian brothers high school. Bookmark the permalink. Follow any comments here with the RSS feed for this post. Post a comment or leave a trackback: Trackback URL.